Copyright: © Dr Ranveer Singh Rana, This is an open-access article distributed under the terms of the Creative Commons Attribution License, which permits unrestricted use, distribution, and reproduction in any medium, provided the original author and source are credited. Recieved Date: March 10, 2017; Accepted Date: March 20, 2017; Published Date: March 23, 2017. AIM: We reviewed cases of soft-tissue sarcoma to gain insight into the presentation, treatments and outcomes for this rare disease and to determine various factors associated with outcomes. RESULTS: A total of 30 cases were studied. Male to female ratio was 4:1. Mean age of presentation was 46.5 ± 9.2 years. Most common site was lower limb (46.7%) followed by upper limb(16.7%). The vast majority of patients (56.7%) presented with large tumors of ≥10 cm in diameter. Lymph node metastasis at the time of diagnosis was recorded in 23.3% of cases and distant metastasis was present in 30% cases. Liposarcoma (30.0%) was the most common histopathological type followed by fibrosarcoma (23.3%). Surgical excision was the most common surgical procedure performed in 76.7% of cases. Surgical site infection was the most common complication in 43.0% of patients. Local recurrence was noted in 16.0% of cases. Mortality rate was 43.3%. CONCLUSION: In conclusion, soft tissue sarcomas are aggressive tumor and has a high propensity for metastasis. Early diagnosis and complete excision of a small primary tumor is important in the treatment of soft tissue sarcomas. 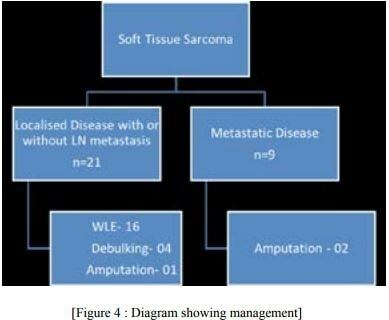 The objective of the current study was to review cases of softtissue sarcoma to gain insight into the presentation, treatments and outcomes for this rare disease and to determine various factors associated with outcomes. 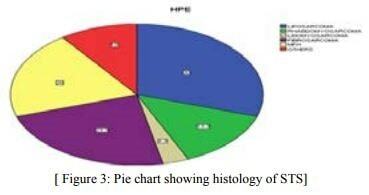 This descriptive, cross sectional study of histologically confirmed cases of soft tissue sarcoma seen at Rajendra Institute Of Medical Sciences, Ranchi was conducted over a period of 2years between Jan 2012 and Dec. 2014. The charts of the patients with diagnosis of the sarcoma were reviewed after formal approval from the Institutional Ethical Review Board. Only adult patients with age of more than 16 years were included. The data was analyzed in SPSS version 16.0. The descriptive analysis was done for the demographics and clinical characteristics of the patients. The Chi square test was applied for univariate analysis for determining the significance of individual categorical variables for recurrence. A total of 30 cases were studied. Male to female ratio was 4:1. Mean age of presentation was 46.5 ± 9.2 years. Most common site was lower limb (46.7%) followed by upper limb(16.7%). [Figure-1] The vast majority of patients (56.7%) presented with large tumors of ≥10 cm in diameter. [Figure- 2] The soft tissue sarcomas included Synovial sarcoma, Leiomyosarcoma, Fibrosarcoma, Liposarcoma and other rare sarcomas. The Liposarcoma was found in 9 patients (30%), followed by Fibrosarcoma 7 patients (23.3%), MFH in 6 patients (20%), Rhabdomyosarcoma in 4 patients ( 13.3%) and the other rare sarcomas in less than 13% of the cases. (Figure 3 Pie chart) Only 46.7 % patients had localised disease at the time of presentation , lymph node metastasis at the time of diagnosis was recorded in 23.3% of cases and distant metastasis was present in 30% cases. The median follow up duration was 44 months (18-72 months). Localised disease with or without metastasis was present in 21 cases, out of which 16 underwent wide local excision, 4 had debulking and 1 patient had amputation. 9 patients presented with distant metastasis and two of them underwent amputation due to gangrene. [ Figure- 4]. Local recurrence was seen in five cases and at the end of three years 17 patients were alive. Sarcomas represent the heterogeneous group of cancer with diverse tumour biology. Wide local surgical resection with pathologically proven negative margins is the most effective therapeutic approach for cure of soft tissue sarcoma. Most common sites for hematogenous dissemination are the lungs and the liver. [4,6] Regional lymph node metastases are uncommon. The majority of tumors are intermediate and high grade and the most common histologies are liposarcoma and leiomyosarcoma. Other histologies include malignant fibrous histiocytoma (MFH), malignant peripheral nerve sheath tumor (MPNST), rhabdomyosarcoma, Ewing sarcoma, synovial sarcoma, hemangiopericytoma, and fibrosarcoma. [4,6] History and physical examination, computed tomography (CT) and/or magnetic resonance imaging (MRI) to evaluate the primary tumor and regional lymph nodes, and CT scans of the chest and liver to detect possible distant metastases are initial diagnostic modalities. In presence of symptoms, MRI brain and bone scans are indicated. Biopsy should be reserved for patients who are being considered for preoperative radiotherapy (RT) and/or chemotherapy, patients who have inoperable disease, and patients with hematogenous metastases. If surgery is the initial treatment, then a tissue diagnosis may be obtained at the time of the definitive procedure. Patients with STS are staged according to the American Joint Committee on Cancer (AJCC) staging system . Similarly, the Musculoskeletal Tumor Staging System stratification is determined by histologic grade as nearly all tumors are deep . The mainstay of treatment for patients with STS is surgery. We primarily see patients with high grade tumours referred for adjuvant chemotherapy or for palliative chemotherapy in unresectable cases. Adjuvant chemotherapy have demonstrated a reduction in local and distant recurrence rate and trend towards improved overall survival with adjuvant chemotherapy . Addition of ifosfamide to doxorubicin-based regimens may have a somewhat higher antitumor activity on patients with advanced or metastatic soft-tissue sarcoma[10,11,12]. Radiotherapy has also been used for improving the local control both before and after surgery depending on the individual case of high grade and large soft tissue sarcoma . The treatment of patients with STS remains challenging. A substantial subset of patients have incompletely resectable disease, and marginal margins are achieved in the majority of patients who undergo macroscopic total resection with a subsequent high likelihood of local recurrence. Stojadinovic A, Leung DH, Hoos A, Jaques DP, Lewis JJ, Brennan MF. Analysis of the prognostic significance of microscopic margins in 2,084 localized primary adult soft tissue sarcomas. Ann Surg. 2002;235:424–434. Gerrand CH, Bell RS, Wunder JS, et al. The influence of anatomic location on outcome in patients with soft tissue sarcoma of the extremity. Cancer. 2003;97:485–492. Rehders A, Hosch SB, Scheunemann P, Stoecklein NH, Knoefel WT, Peiper M. Benefit of surgical treatment of lung metastasis in soft tissue sarcoma. Arch Surg. 2007;142:70– 75. Liebl LS, Elson F, Quaas A, Gawad KA, Izbicki JR. Value of repeat resection for survival in pulmonary metastases from soft tissue sarcoma. Anticancer Res. 2007;27:2897–2902. Lewis JJ, Leung D, Woodruff JM, Brennan MF. Retroperitoneal soft-tissue sarcoma: analysis of 500 patients treated and followed at a single institution. Ann Surg. 1998;228:355–365. American Joint Committee on Cancer. Soft tissue sarcoma. In: Greene FL, Page DL, Fleming ID, editors. AJCC cancer staging manual. New York: Springer, 2002:193–200. Enneking WF, Spanier SS, Goodman MA. Current concepts review. The surgical staging of musculoskeletal sarcoma. J Bone Joint Surg. 1980;62:1027–1030. Antman K, Crowley J, Balcerzak SP, et al. An intergroup phase III randomized study of doxorubicin and dacarbazine with or without ifosfamide and mesna in advanced soft tissue and bone sarcomas. J Clin Oncol. 1993;11:1276– 1285. Edmonson JH, Ryan LM, Blum RH, et al. Randomized comparison of doxorubicin alone versus ifosfamide plus doxorubicin or mitomycin, doxorubicin, and cisplatin against advanced soft tissue sarcomas. J Clin Oncol. 1993;11:1269–1275. Casali PG, Picci P. Adjuvant chemotherapy for soft tissue sarcoma. Curr Opin Oncol. 2005;17:361–365. 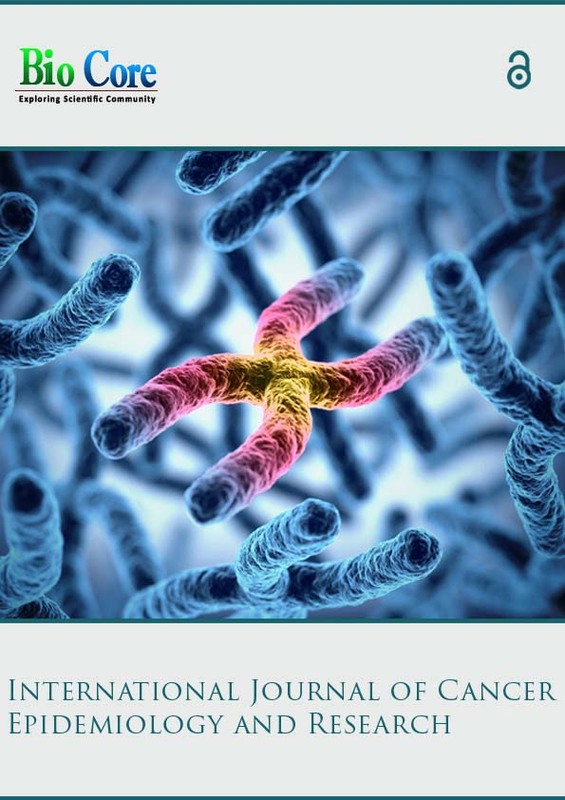 Yang JC, Chang AE, Baker AR, Sindelar WF, Danforth DN, Topalian SL, DeLaney T, Glatstein E, Steinberg SM, Merino MJ, Rosenberg SA: Randomized prospective study of the benefit of adjuvant radiation therapy in the treatment of soft tissue sarcomas of the extremity. J Clin Oncol 1998, 16(1):197-203.